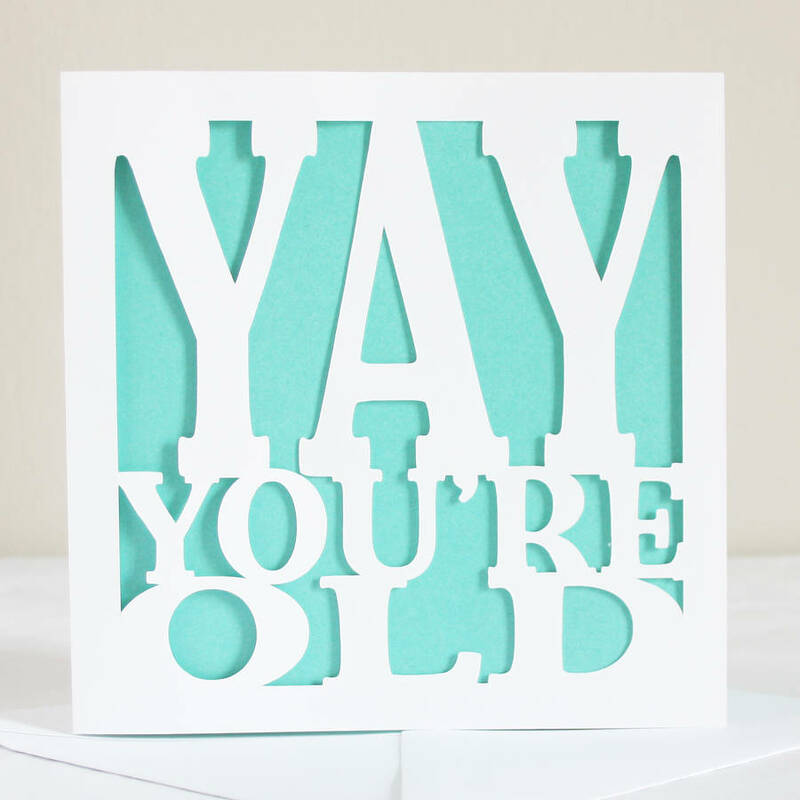 A light-hearted papercut birthday card. 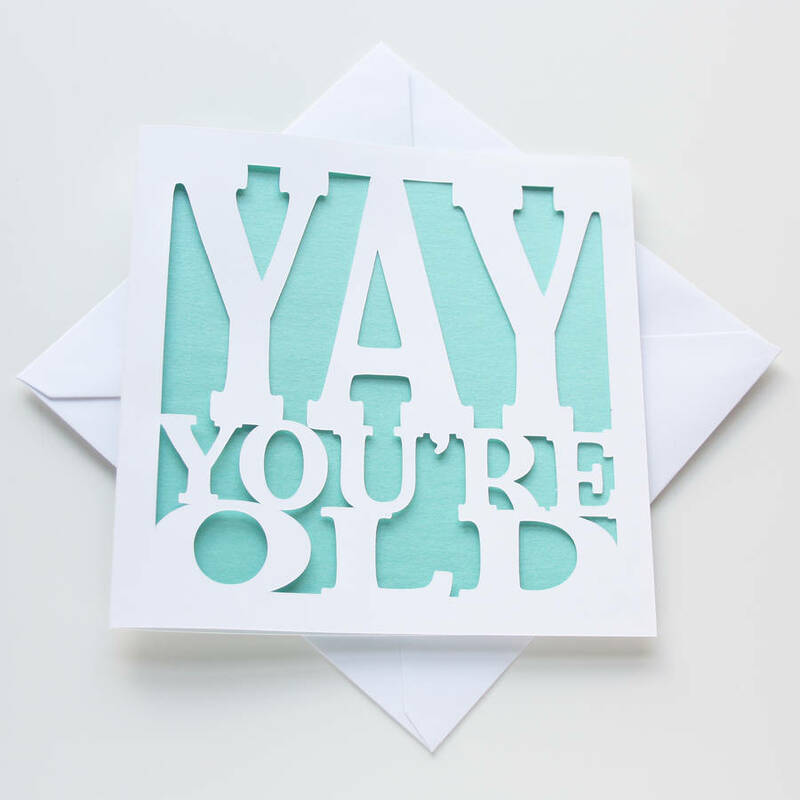 This fun birthday card is the perfect way to celebrate a birthday for someone who's perhaps feeling the years. 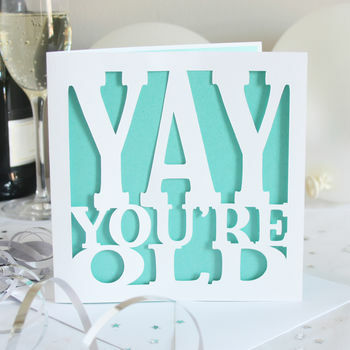 The card features the message 'Yay You're Old' cut into a smooth white recycled card. 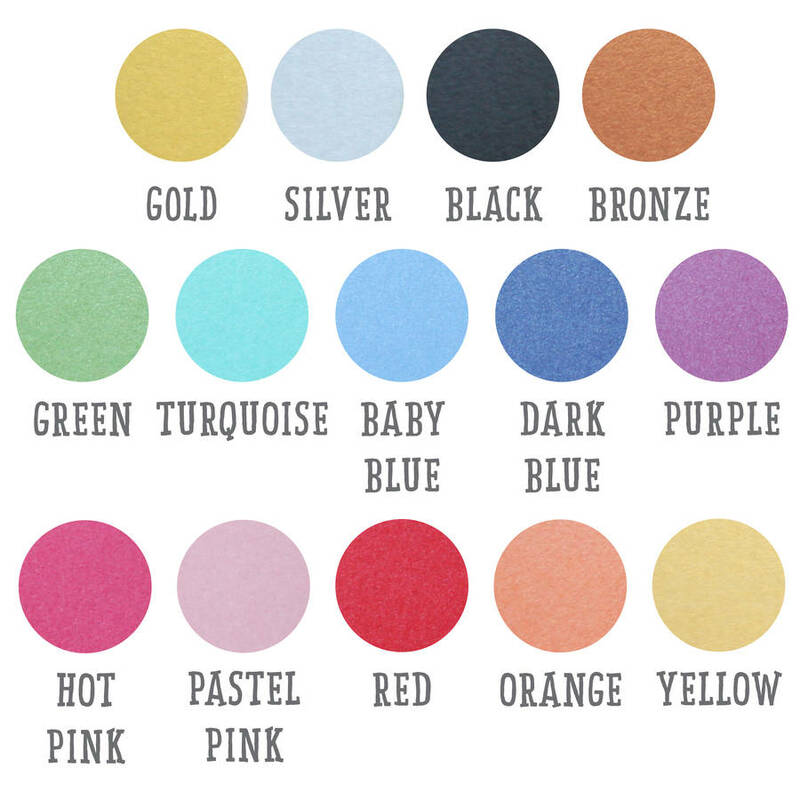 The card then has a pearlescent paper insert in your choice of colours, and is finished by hand. 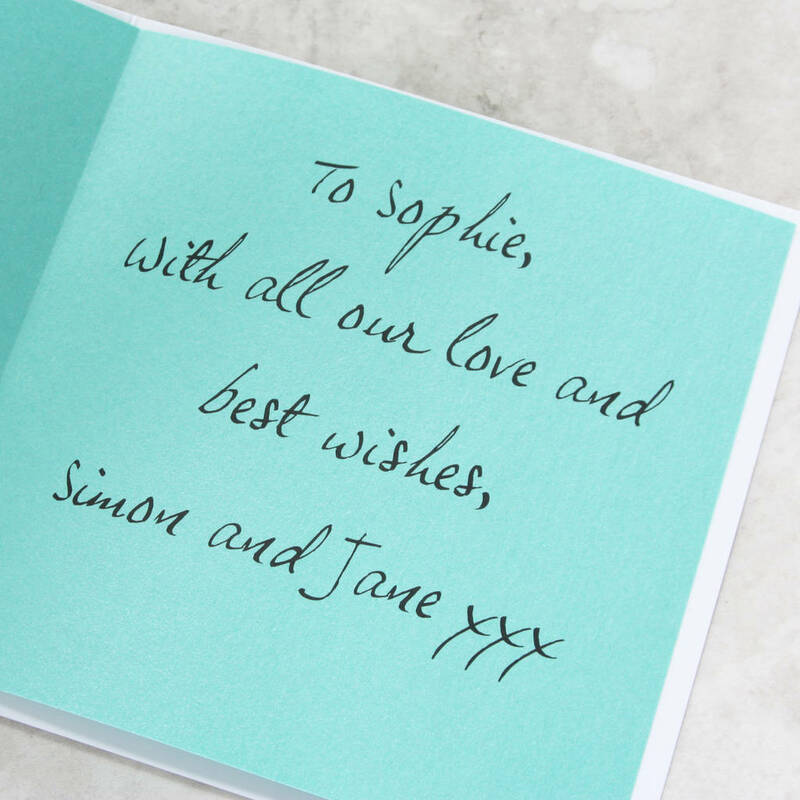 The card is available with a choice of coloured inserts - turquoise is photographed. High quality smooth white card, with a pearlescent paper insert.